Yay for the Queen. Yay for another bank holiday weekend! 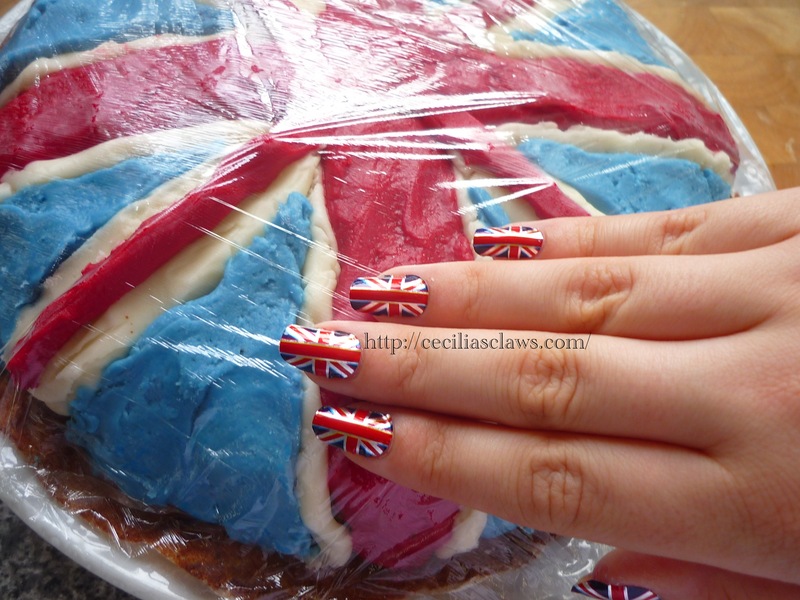 We’re having a bit of a party at work, so I’ve made a Union Jack chocolate cake, and I need the nails to match. 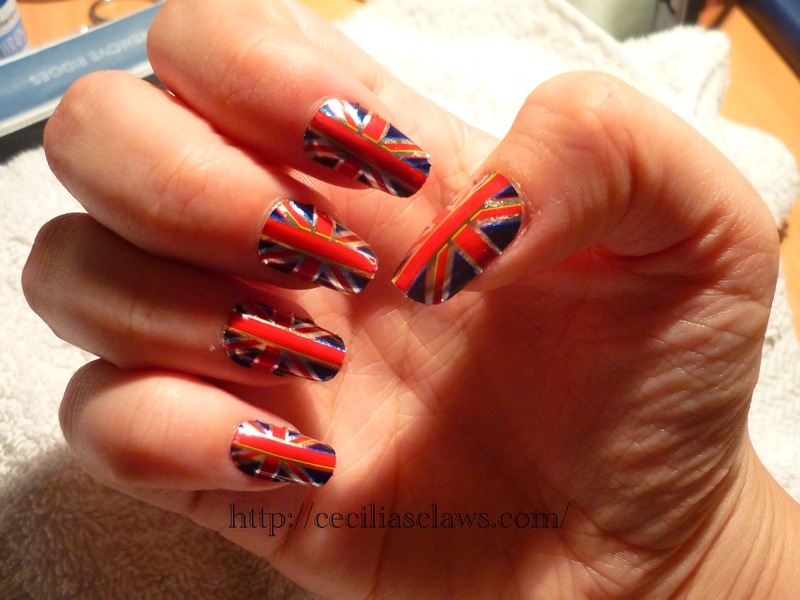 I made these Union Jack style nails earlier, for the Royal wedding between Kate & Wills, but I thought I would try something different this time around! This is my first time using foils. I bought them for about £3, so they really were not that expensive, and they look very shiny! The tools. I figured it would be a good idea to have a strong base layer, so I used the Sally Hansen Hard As Wraps base coat. 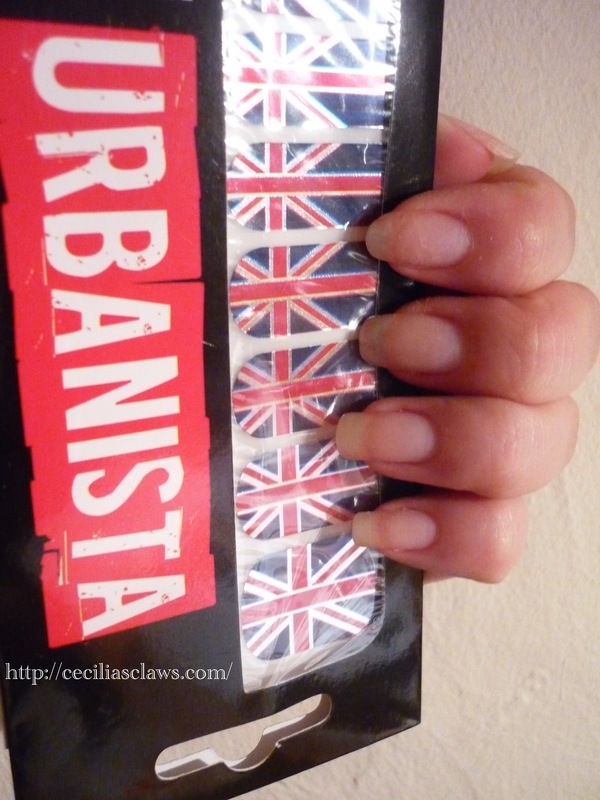 It was surprisingly easy to apply the foil, and if they are a bit wonky, you can pull them off and reapply them. 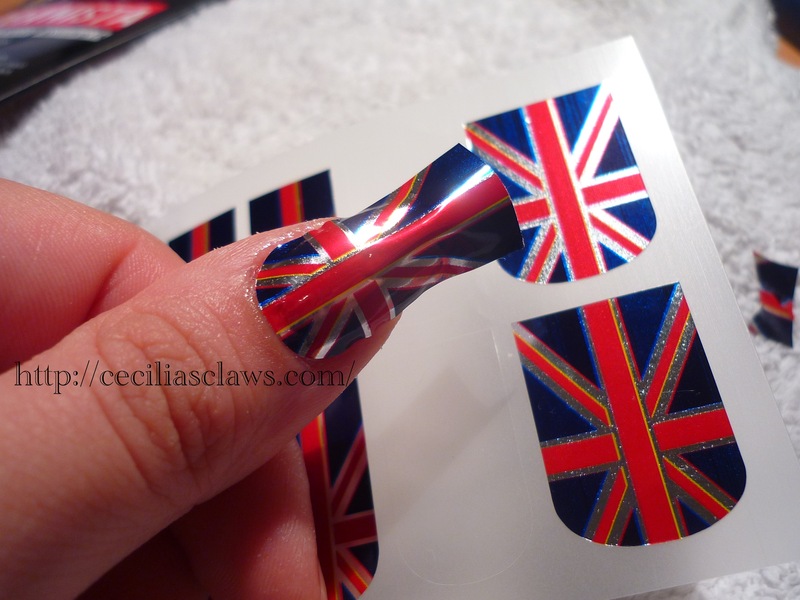 Then carefully cut around the edges, and use a nail file to shape the foil. One finished hand. After cutting the foil to shape, you apply heat from a hair dryer or similar. My packet didn’t come with any instructions as to how long you need this heat, and as the foils are metal, this hurts! I let the hair dryer heat up the foils for maybe 10 seconds, three times, until I could feel the foil become smooth. I was not expecting it to ‘burn’, but it was fine, and the second the heat source was removed, they cooled instantly. There were a few foils left over in the packet, and I can see how they could be incorporated into another manicure in the future, so all in all I think this was pretty good value! Prep time: ~30 minutes, as you don’t have to wait for any coats to dry, you can just keep going. 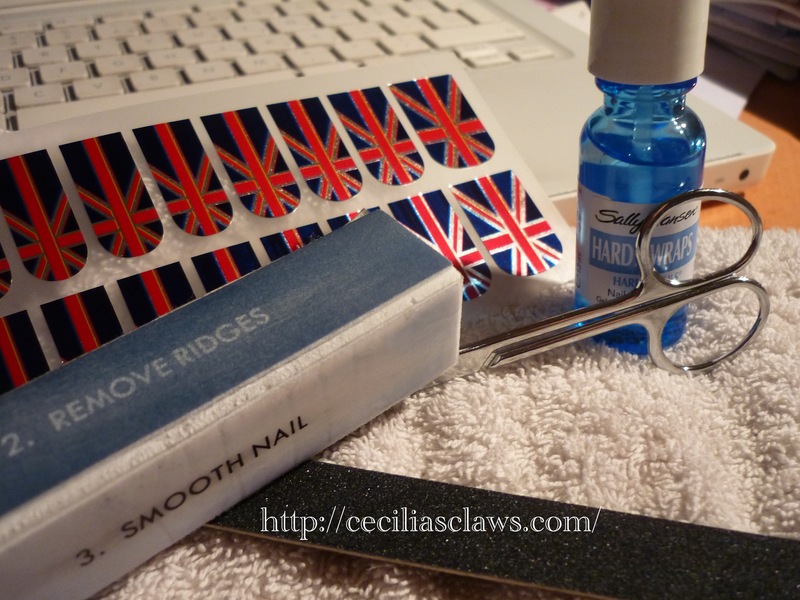 Top coat: I put a bit of nail glue on the edges, in the hope that this will stop it from chipping. Nice foils. Love the cake! £3, that’s incredibly cheap for something that looks so professional!